Research by members of the University of the Third Age (U3A) from September 2018 to March 2019. The museum archive has a large collection of bills and receipts for Normansfield that cover a period from the late 19th to early 20th century. 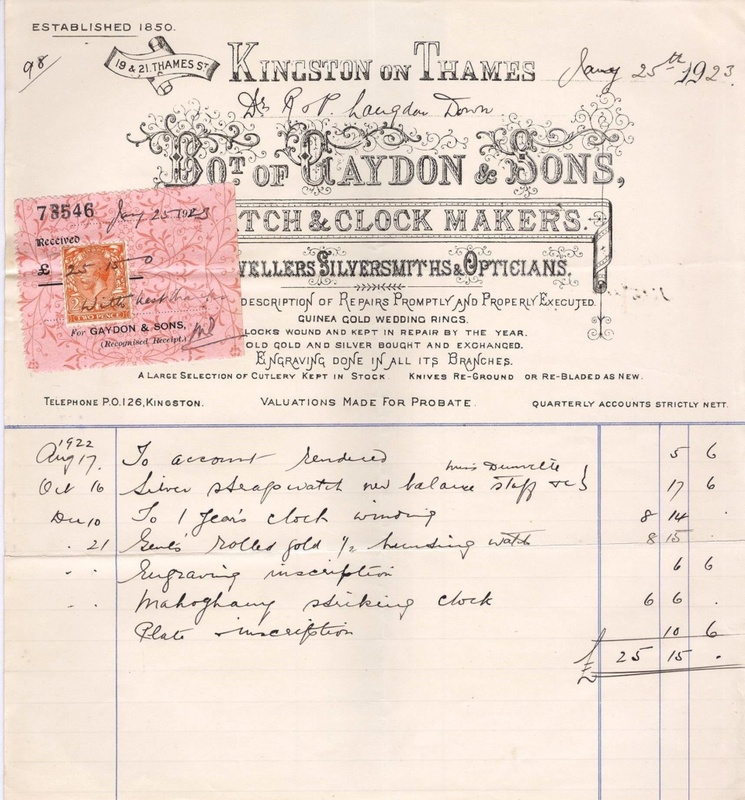 The museum archive has a large collection of bills and receipts from suppliers of goods and services to Normansfield from the late 19th to early 20th century. These documents have provided a picture of daily life in the running of a large institution. Research by a U3A Shared Learning Project has covered the following: the farm, electric lighting, the laundry, musical instruments, weaving, photography and kitchen supplies.